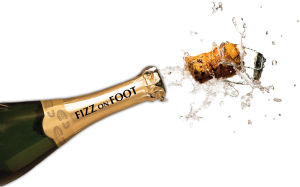 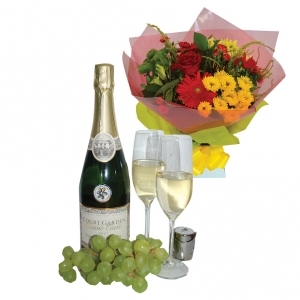 This is the ideal partnership of French Champagne with Belgian chocolates. 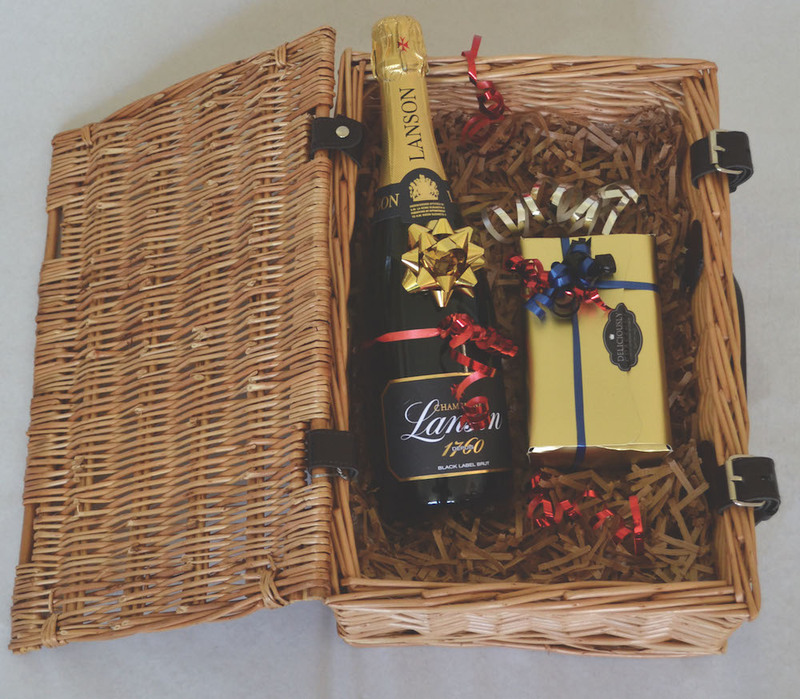 A bottle of Lanson Black Label Brut Champagne. 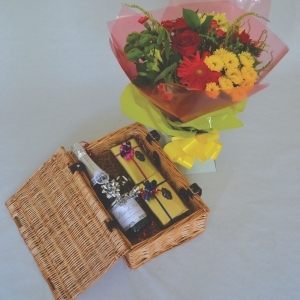 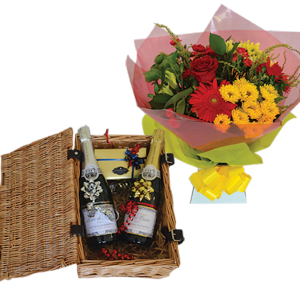 These are delivered in a beautiful cane picnic hamper with a message card inside. 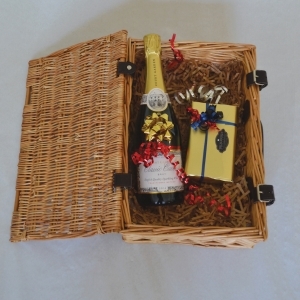 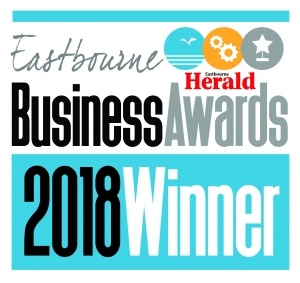 Bespoke hampers are available – please just ask!